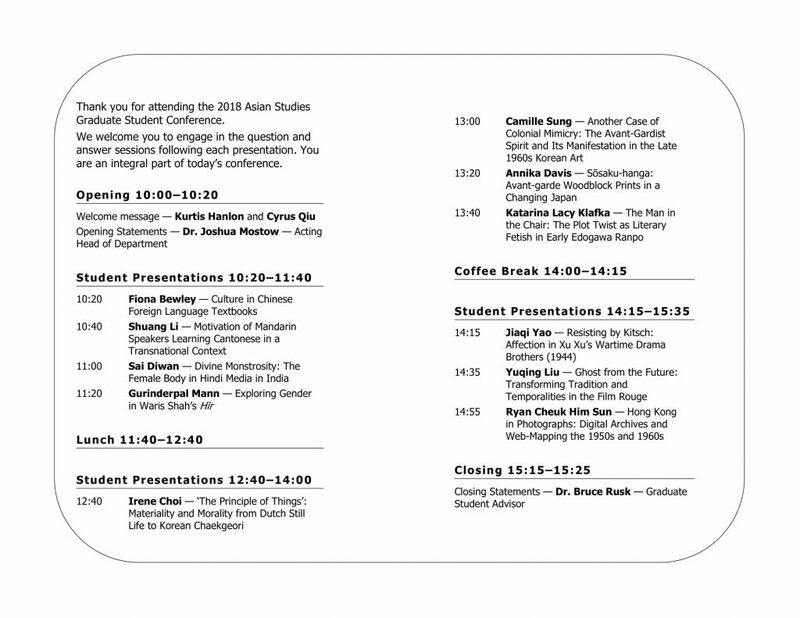 Come join us for a day of presentations by graduate students from the Asian Studies department, with a few guest presenters from other departments. 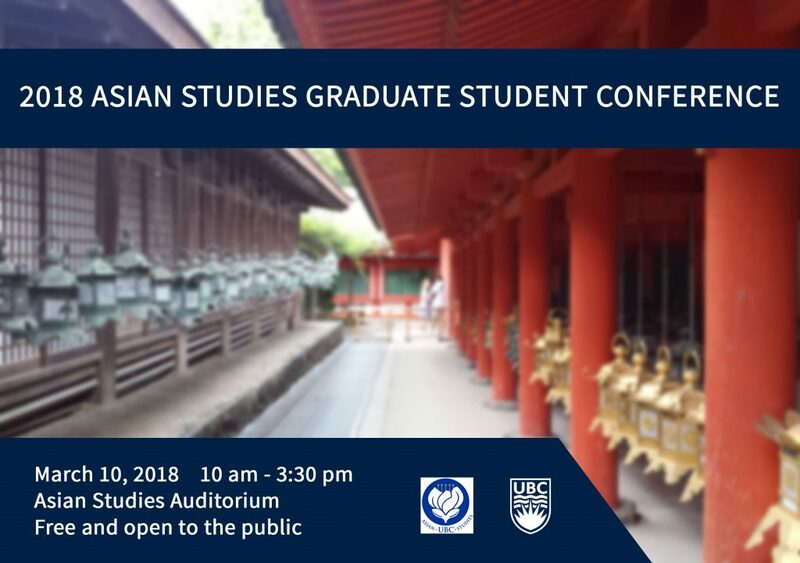 Listen to students present on their own research, join in on the accompanying discussions, and enjoy refreshments while meeting and talking with scholars working in a wide variety of disciplines and regions. 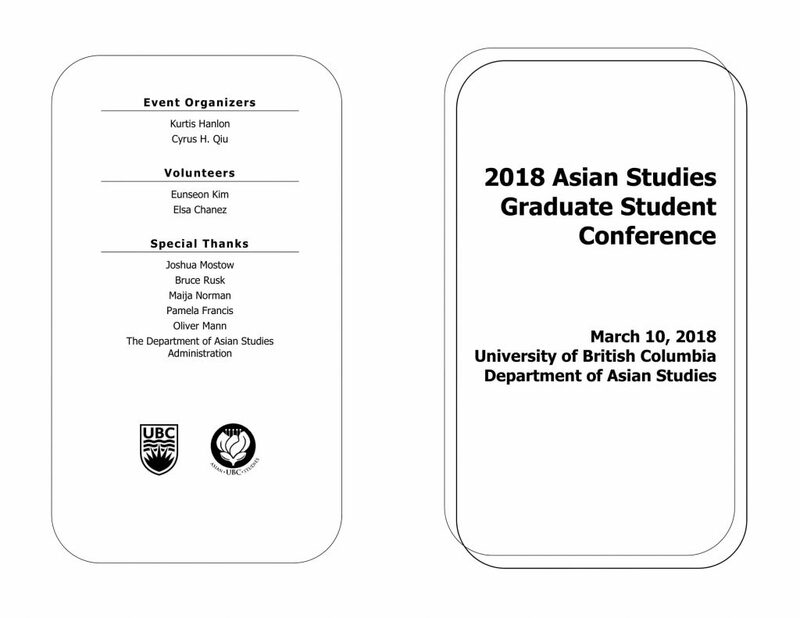 The conference will be held Saturday, March 10, 2018 in the Auditorium of the Asian Centre at the University of British Columbia – main campus.